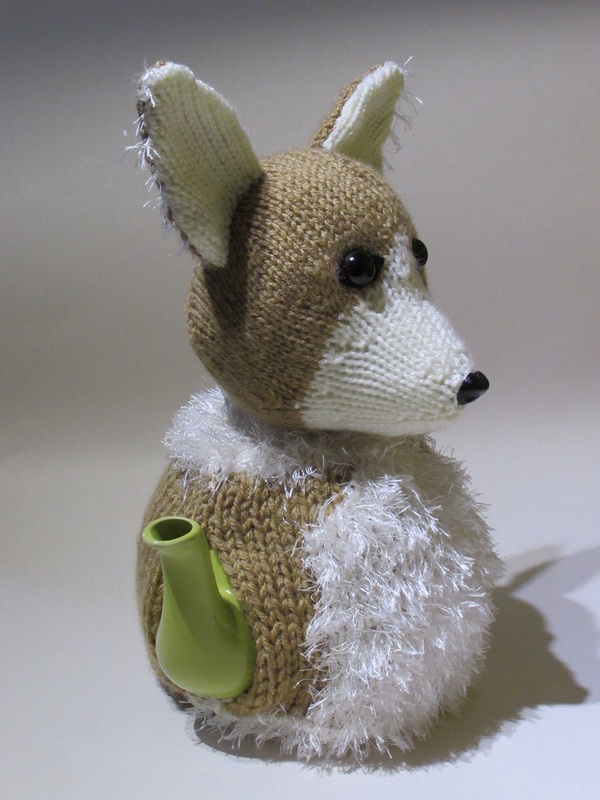 This cute tea cosy is modelled on the Pembroke Welsh Corgi breed of dog, the breed of choice of the Queen. 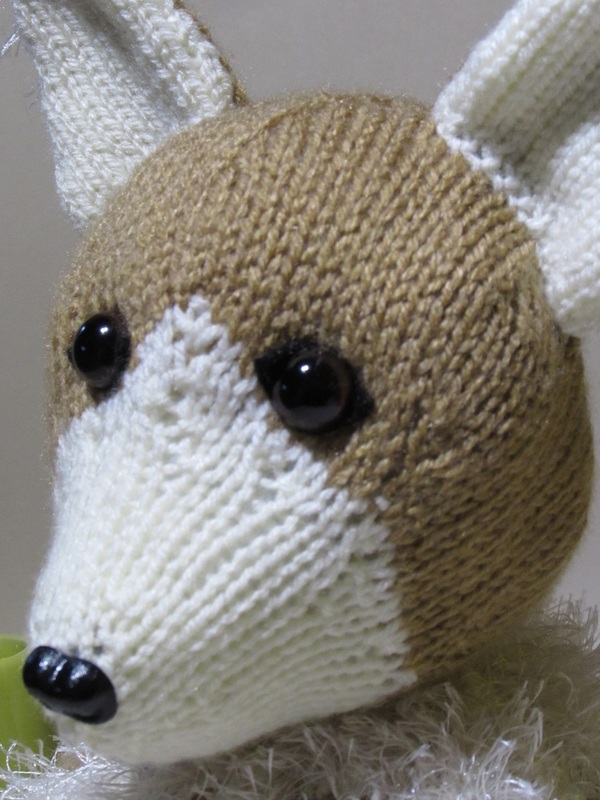 The corgi tea cosy has the the breeds traditional big ears, and fluffy scruff and chest. The Pembroke Corgi is the one with a docked tail, so at the back of the tea cosy you will find a small stubby tail. 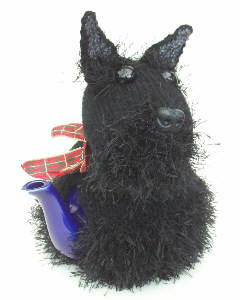 The dog is in a 'sit' position so it's tail is at the bottom of the tea cosy. 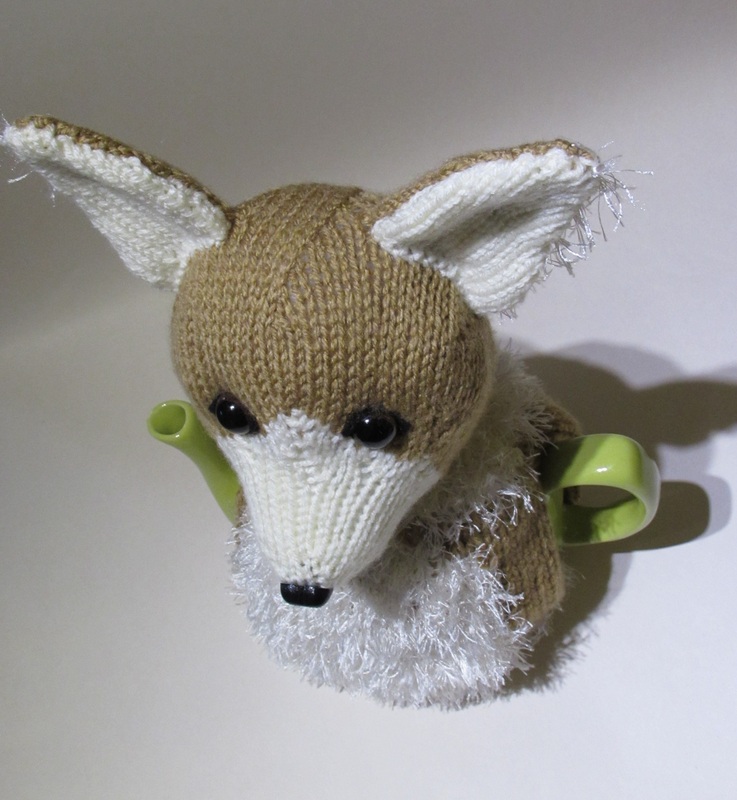 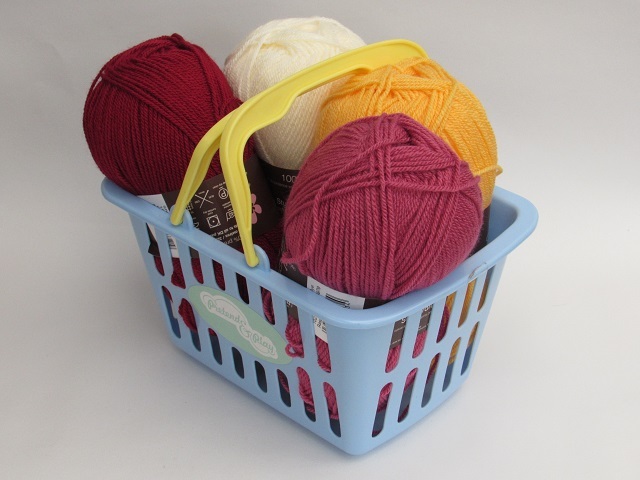 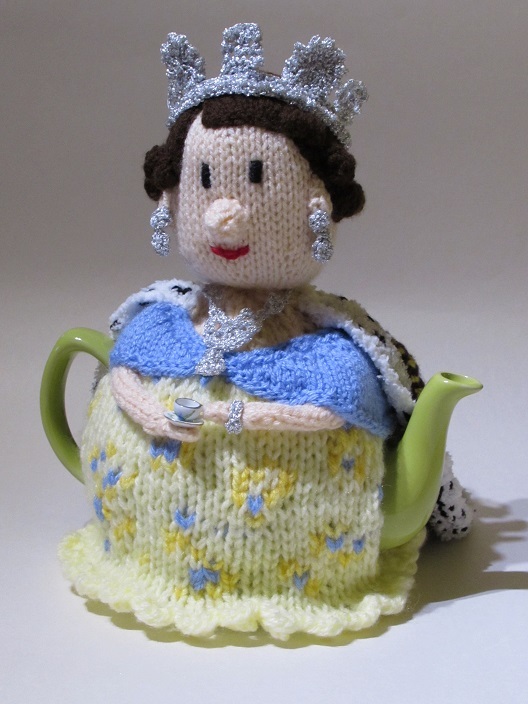 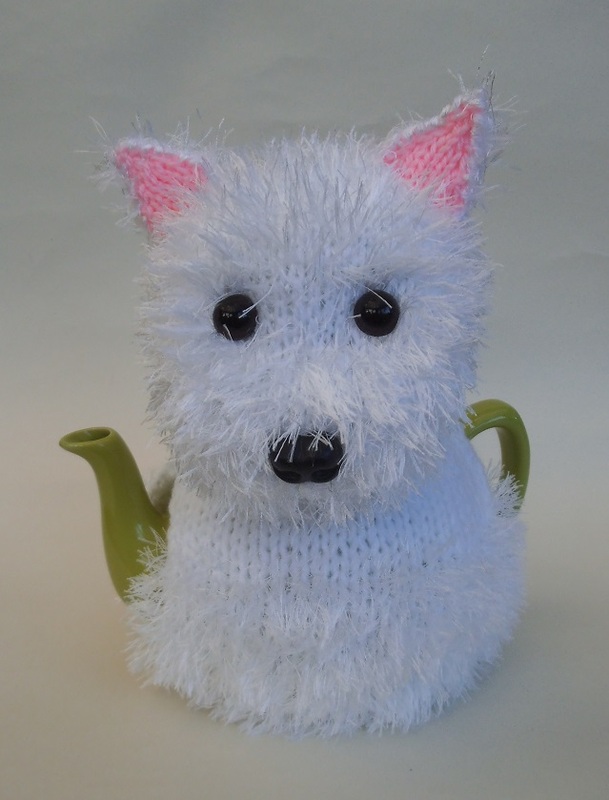 The corgi tea cosy is knitted with double thickness yarn to keep the tea pot. 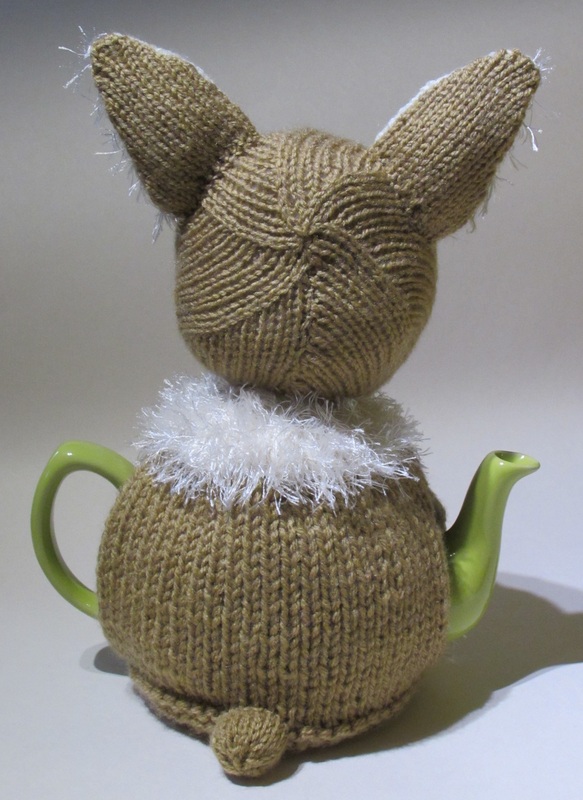 The knitting pattern is easy to follow with clear instructions and a knitting chart to help you knit the plush chest. 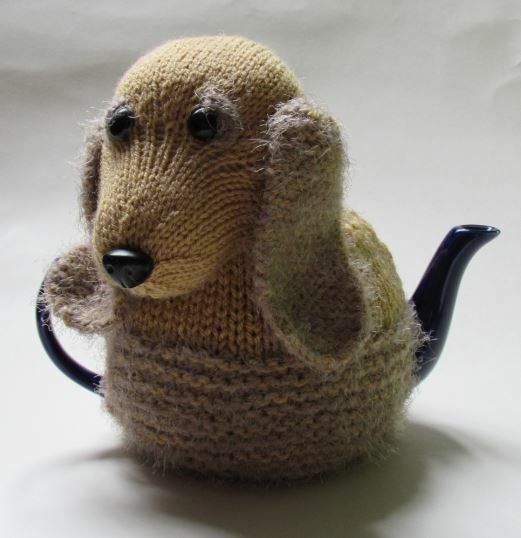 Sit and Stay! 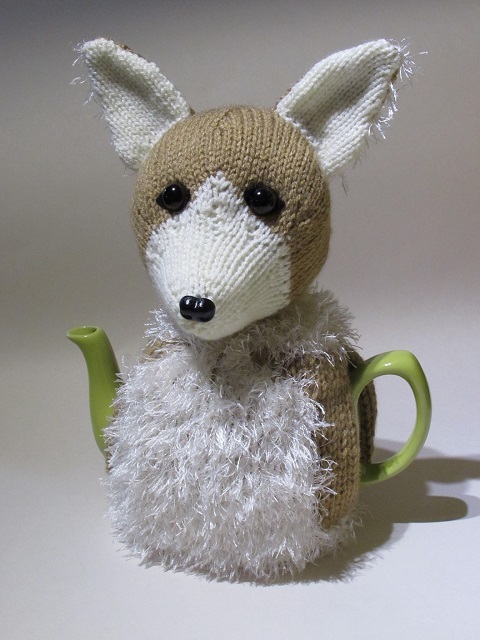 with the Pembroke Welsh Corgi tea cosy.